José Dávila-Caballero | Littler Mendelson P.C. 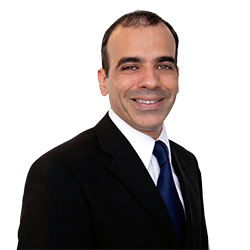 José Dávila-Caballero actively litigates all matters regarding employment law. During his tenure at Schuster Aguiló, José left the firm for a few years to serve as an advisor to the former speaker of the Puerto Rico House of Representatives. During this period, he extensively worked in the process of drafting and revising hundreds of bills approved by the legislature and signed into law. José is an adjunct professor at the University of Puerto Rico Law School, where he teaches discrimination, employment and constitutional law courses. At Harvard Law School, he focused his master’s studies in employment law and advanced constitutional law. During law school, he was a member of and wrote several employment law articles published in the law review.